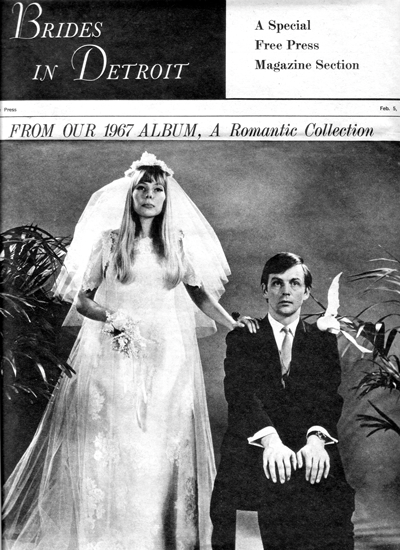 Briefly but indelibly, Chuck and Joni Mitchell put their stamp on Detroit’s musical life. He recalls their airy apartment, performing together at gigs, and the city’s once-vibrant folk scene. The year is 1966. Imagine a sylph-like woman in her early 20s with high cheekbones and straw-colored hair, a spill of bangs cascading over her forehead, hurriedly emerging from an old apartment building at Ferry and Cass, near Wayne State University. Keeping pace with her is her slim husband, eight years her senior, but still boyish, his longish hair combed forward, in the style popular with young men in the mid-’60s. They’re each schlepping a guitar case, running late on their way to a gig at a coffeehouse called the Chess Mate, at Six Mile and Livernois. After tuning up their guitars, her flute-like soprano dovetails nicely with his clarion voice at the club as they open their set. Perhaps such a scenario never played out exactly like that, but one can easily envision it, 43 years later, standing across from the 1894 dove-gray Verona apartments, which today still retain a kind of weathered elegance on a block lined with other winsome old apartment buildings. The neighborhood is oddly quiet on this particular morning because Wayne State University is off on winter break. The eerie silence makes it easier to picture a faded era and two people no longer young. The Verona is on the U.S. National Register of Historic Places, but its pedigree in the history of Detroit music eclipses any architectural designation. 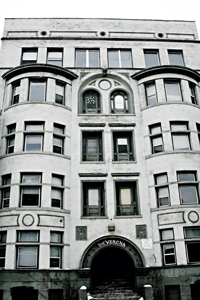 From 1965 to 1967, Joni and Chuck Mitchell lived on the building’s fifth floor. Their marriage was brief — they divorced in 1968 — but their mark on Detroit is indelible. Of course, she was destined to become a household name in pop music, but back then the young woman from the Canadian prairies was known only on the folk circuit. Chuck, born in New York City but brought up in what was then a sparsely populated, bucolic Rochester, Mich., met Joni at Toronto’s Penny Farthing club in April 1965. By June they were married, and she joined him at his aerie in the Verona. Chuck’s memories of their spacious, three-bedroom apartment are unusually vivid. His painting allusion is to Joni’s song “I Had a King,” which includes the lines I had a king in a tenement castle/Lately he’s taken to painting the pastel walls brown. Famous for her confessional lyrics, Joni wrote the song about Chuck, “Who carried me off to his country for marriage too soon.” When asked how he felt the first time he heard the song, Chuck chose not to elaborate. Active in historic preservation, Chuck (he now lives in an 1879 house overlooking the Mississippi River) applied a lot of elbow grease around the apartment, which he moved into in 1962. He recalls his monthly rent then was an astonishing $75. 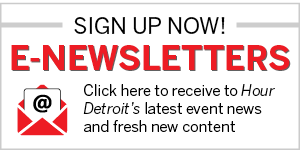 For performers and fans of folk music, Detroit was a thriving place in the mid-’60s. Chuck and Joni got their own gig at the Chess Mate, performing as a duo and as soloists. Inevitable, too, was the breakup of their marriage. They stopped living together sometime in 1967, and by 1968, the union was dissolved. And so it is sometimes with relationships. Although a lot of ink has been spilled speculating about what tore the pair asunder — Joni simply wanted her green card, her solo career was gaining much more momentum, they fought over her fling with another guy, their age difference was too vast — Chuck, with the mellow remove of more than 40 years of reflection, doesn’t appear to be bitter — nor willing to delve into details. According to Girls Like Us, Joni, with the help of a male friend, took half of the belongings out of the apartment while Chuck was out of town. She’d relocate first to New York City, then to L.A.’s Laurel Canyon. With the 1968 release of Song to a Seagull, she was on her way to stardom. Chuck’s path was less spectacular. He stayed in the Verona until 1968 (the rent had spiked to $125, he recalls), when he left for Florida, then California, and Colorado. He continues to perform today and maintains a Web site (mitchellsong.com) where his music can be bought. Shortly after his father died in 1987, Chuck says he talked to Joni “amicably.” That was the last time they spoke. Joni and Chuck Mitchell’s spacious Detroit apartment was a kind of flophouse for folk musicians stopping in Detroit for performance dates in the 1960s. Instead of staying at a hotel, the artists crashed with the hospitable Mitchells. Chuck Mitchell reminisces about those years. Hour Detroit: During stopovers in Detroit, artists such as Gordon Lightfoot, Tom Rush, and Buffy Sainte-Marie stayed at your apartment on Ferry. What are your memories of them? Chuck Mitchell: I don’t recall that Buffy visited; I do recall that Joni cornered her in the green room (a cubicle) at the Chessmate, and they hit it off. Gordon Lightfoot visited, as did Jerry Corbitt and Jesse Colin Young (of the Youngbloods). Tom Rush, Dave Van Ronk, Bruce Langhorne, Eric Andersen, Rambling Jack Elliot — they all stayed. There may have been more. We were sociable. HD: Did you and Joni play with them informally at your place? CM: I’m sure we did, and we listened as well, because I had a terrific stereo, and people would bring their recordings, vinyl and acetate, and we’d all say, “Hey, listen to this!” Personal-choice music was not in everybody’s ears all the time back then.